Bavarian Point for the best German Mesa Restaurant! Achtung! 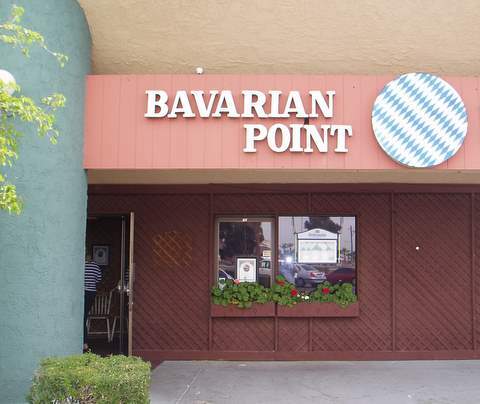 The Bavarian Point Restaurant in Mesa is the place for remarkable homemade German food. The food has a luscious taste that will make you think of the Sound of Music and apple strudel. 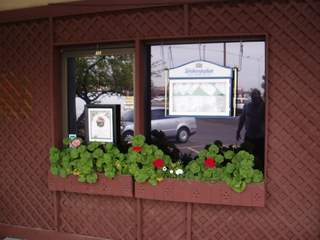 The front of the restaurant greeted us with flowers in a flower box. When the summer is over you think of fall and what comes next—Octoberfest, German food, brats, beer, friends and music. Of course every day is a good day to eat if you are hungry for remarkable German fare. Here’s the story of how I discovered this place. A group of about ten friends from work wanted to go to a place where there were healthy portions of great tasting German food. 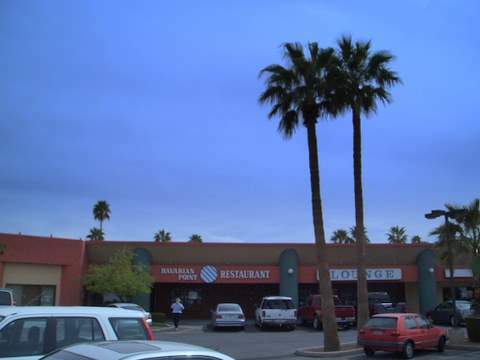 Somebody said they thought there was a German restaurant out in the east valley someplace, but not sure. So we drove and drove, and finally came upon a nondescript strip mall off of Main Street in east Mesa. The general area doesn’t look remarkable from the outside. You might easily drive right past this hidden jewel of an eatery. See map below for directions. They have private rooms available for small parties. So we all sat down in a private room. The rest of the seats in the restaurant are comfortable wood chairs and booths. Anyway, when you walk inside you will notice the wood covered walls, wood chairs, and cozy hanging lamps. It’s like you just walked into a time warp into old Germany. Be prepared for a feast with foods that you may have never savored before. What can you get to eat at the Bavarian Point? Yah yah, you are wondering if the menu has translations? The service experience is wonderful. Here’s an example. We complimented the Fraulein about the great tasting bread. Crusty fresh bread is often a weak spot in the best of places so we mentioned how flavorful it was. Turns out it was the LaBrea Bakery brand. She told us to wait a moment, and since it was almost time for closing, came back and gave us half a loaf to take home! If you are lucky on a weekend you may be graced with the Old World sounds of a zither. A man strums this box with strings and the ambiance will transport you through space and time to the old country if you let your imagination go. "Guten appetit" or "enjoy your meal."